Chip Kelly officially took the lead today for the first time as the new head coach of the 49ers, hoping to turn the franchise around after a tough 2015 season. Here’s some of the various tweets about what the experts and fans are saying while the presser went on today with some of Kelly’s comments. 49ers Chip Kelly looks at firing from Eagles not as a self scout: "I looked at it more of an autopsy. I'm in the middle of the autopsy now." 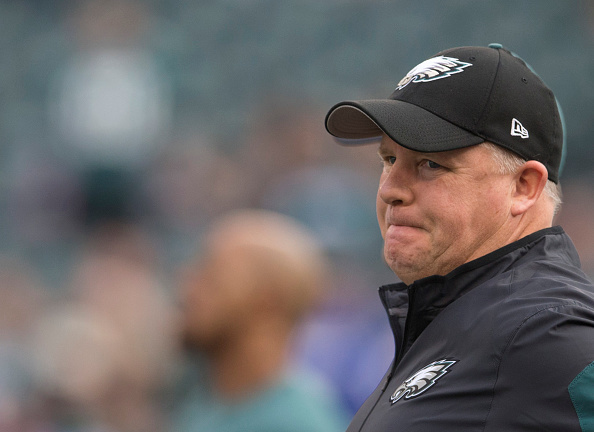 Chip Kelly says reason for delay of a week between his hiring and press conference was because he "had no clothes. Only a pair of sweats"
Chip Kelly's Press Conference is awesome!! You can tell he's really relaxed! This Chip Kelly press conference is fine, but I personally miss Jim Tomsula ripping farts with no remorse. Be the first to comment on "Twitter Take: Chip Kelly Takes the Stand as New 49’ers Head Coach"